We have a great special for you, especially if you are a fan of Dell Financial Services. SAVE 25% on any Dell Laptop or Desktop - enter coupon code CJAUG28?25% at checkout. The discount is before sales tax or shipping and handling. This only applies to online orders and cannot be combined with any other coupons. This is a limited time offer and will expires on 9/11/08. Be sure to bookmark this page for future reference! If you hatorate on Vista, and don't want it to ever touch your computer, you are in luck! The HP Compaq 6510B is on sale for $771 with free budget shipping. This is a mobile priority laptop as it has a 14.1" widescreen display, with an 1.8 GHz Intel Core 2 Duo T7100 processor, with 1GB memory, 80GB hard disk, dvd burner, and of course Windows XP Pro. Acer Aspire One Notebook is on sale for $330. This special price ends on Friday 8/29 at 9am pacific time. This lovely laptop has an Intel Atom 1.60GHz processor, wireless, 512MB DDR2 memory, 8GB solid state disk (SSD), a 8.9" WSVGA display, webcam, and Linux Lite! If you are a fan of the new popular mini-notebook computers, we have a nice deal for you! The Acer Aspire one , with the Intel Atom N270 1.6GHz processor, 1GB of DDR2 SDRAM, 120GB hard disk, 8.9" WSVGA TFT display, Intel GMA 950 system, 802.11b/g wireless, 10/100 ethernet, Multi-in-one memory card reader, webcam of course, and everyone's not-dreaded Windows XP Home Edition. The price for this is $400. And if you are the rebate type, you can get a free Printer & Shipping after rebate(s). We start with a Lenovo laptop, the Lenovo IdeaPad Y510, powered by the Intel Pentium Dual-Core 1.86GHz processor, with 2GB DDR2 memory, 160GB hard disk, 15.4" WXGA display, wireless and webcam, along with the dreaded and obligatory Vista Home Premium. The price is $550 after a $50 MIR, which expires on 09/30/08. And if you are looking for a multimedia or desktop replacement laptop, the Toshiba Satellite L355-S7811 with an Intel Pentium Dual-Core 1.73GHz processor, 2GB DDR2 memory, 200GB hard disk, 17.1" WXGA+ display, wireless and webcam and of course Vista Premium. All these can be yours for $700. We start with a cheap recertified desktop, a Compaq Presario Desktop PC with an Intel Pentium Dual Core 1.8GHz processor and WinVista Premium. The price is $230 and offered by Tigerdirect. Again, please note this is a recertified model. For the same price, you can also get an eMachines Desktop, powered by the AMD64 4000+ 2.6GHz processor, with 250GB SATA II hard disk and WinVista Premium. This also goes for $230 at Tiger Direct. Next up the Lenovo K210, powered by the Intel Core 2 Quad 2.4GHz processor, with 3GB DDR2 memory, 500GB SATA II hard disk, and WinVista Premium. This goes for $500 and offered by Tigerdirect. Sony VAIO VGN-NR360ES just $550 with free shipping! Yes Sony fans! You can have a Sony Vaio branded brand new laptop for just $550, with free shipping and most likely no sales tax either! Yeeehaaaaaaaaaa! The special promotion is offered by J&R World and it is the Sony VAIO VGN-NR360ES Granite Silver color laptop. Limit of two laptops per customer please! This is not slouch, it has a 15.4" WXGA (1280x800) widescreen display, the Intel Pentium Dual-Core T2370 1.73GHz processor, 2GB of DDR2 (PC2-4200) memory, 200GB 5400rpm hard disk, Intel GMA X3100 Graphics, dvd burner of course, wireless (b/g), built-in memory card reader, ExpressCard 34 slot, 4 USB 2.0 slots, weight of just over six pounds, and of course Vista Home Premium among other features. Don't delay! Get yours now if you are a fan of Sony Vaio laptops! We are starting a new series today where we take a look at the current line-up of laptops and notebooks of each major computer manufacturer. We start with the hottest name brand at the moment, Dell! There are four lines of laptops, the Inspirons which are almost everywhere these days, the brand new Studio models, and the high-end XPS line. And of course the all-important these days gaming laptops! The Inspirons are the laptops for everyone. They are priced affordably, starting at $500 by Dell itself, and obviously increasing in price depending on what features you select. The bread and butter is the Inspiron 1525, which as the name suggests, has a 15.4" widescreen display, and ranges from 4-cell to 9-cell batteries. The processors are Intel Core 2 Duos going as high as the T8300 which runs at 2.4 GHz with 800MHz FSB and 3MB cache. Even though the display is fixed, you have a choice in resolution from the typical 1280x800 to the more "resolute" 1440x900. Memory maxes out at 4gb. For the more mobile crowd, they have the Inspiron 1420, which as the model name suggests again, it has a 14.1" display. Just like the I1525 you have a choice in processor, with the T8300 being the fastest available. You also have a choice in resolution, 1280x800 or 1440x900. They have 6-cell or 9-cell batteries. The Studio line is a new one and sits in-between the Inspirons and the XPS. Just like the Inspirons, you can have them in multiple colors. Studio 15 is not a club, it's a 15.4" laptop :) It can go as high as the Intel Core 2 Duo T9300 processor which runs at 2.5GHz with 800Mhz FSB and 6MB cache. There are three screen resolution options, and apart from the usual two (1280x800, 1440x900) you acan also opt for the 1920x1200 - although a trip to the eye-doctor might be recommended ;-) Max memory is 4gb. For fans of 17" widescreen displays, there is Studio 17. As you can expect, the prices are higher because of the larger display. The top choices in both processor and display resolution are the same as Studio 15 mentioned above. You can have a 6-cell or 9-cell battery. The XPS M1330 sports a 13.3" widescreen LED display, but don't let the small screen size fool you. You have a choice of powerful processors, you can get as high as the Intel Core2 Duo T9500, which burns at 2.6GHz, with a 800Mhz FSB and 6MB cache. Memory maxes out at 4gb. The most common 15.4" display size is represented by the XPS M1530, which has a choice of processors and can get as high as the T9500 mentioned above. The choice of body colors is not as wide as the mass-market Inspirons and Studios, but this can be expected as these are more high-end laptops. As usual memory maxes out at 4gb and the display is at 1440x900. And if you love 17" laptops, the XPS M1730 is waiting for you! This one allows you to go extreme, as the best processor available is the Intel Core2 Duo Extreme X9000(2.8GHz/800Mhz FSB/6M L2 Cache). You do have to pay an extra $600 over the default processor for this "extreme boost" in performance though :) Max memory is 4gb. This line also included the all-important Product RED which donates a portion of its proceeds to help combat the AIDS epidemic in Africa. This line includes both Dell's own XPS M1730 which also comes in a special "World of Warcraft" edition, and their recently purchased Alienware line, which features the Area51 m9750 and m15x. The Alienware m15x has a 15.4" widescreen which gives you a choice of 1440x900 or 1920x1200 LCD (1200p). You also have a choice of T8xx or T9x00 or Extreme X9000 processors, choice of XP Professional or Vista, max 4gb of memory (Dual Channel DDR2 SO-DIMM at 667MHz – two 2gb sticks), and things like that. The other featured Area 51 laptop is the m9750, which has a 17" widescreen with the same choice of resolutions as the m15x, along with Intel Core2 Duos ranging from the T5500 to the T7600, up to 4gb memory, choice of Windows OS, and things like that. This concludes our quick Dell laptop lineup overview. This is for Dell Home, stay tuned for our next update which will feature the Dell Small Business lineup. We have a limited time offer: The Targus BUS0057 Wired Laser Pack Notebook Bundle is a Gold Box 4-hour special for $25 at Amazon right now! Don't sleep on it, this deal will expire at 9pm eastern tonight, Saturday August 16, 2008! This includes a Targus retractable laser mouse, external mini numeric keypad with two usb 1.1 ports, two mobile surge protectors, and an ultra mini 4-port usb 2.0 hub. The regular price for these is much higher, the Gold Box price is $25. Don't sleep on this! If you are not afraid of rebates, then we have a great deal for you! Circuit City is offering a Nexxtech Notebook Travel kit for Free after a $40 mail-in rebate! Just go to the Circuit City home page and search for "notebook travel kit". Or click on the direct link. This kit is packaged in a travel case, which includes a wired mouse, 4-port USB hub, 3" USB cable, 256mb USB drive, and such. There are 61 customer reviews of this at Circuit City, so it's not a fly-by-night item! Again, this requires a mail-in rebate, and if you hate the process of mail-in rebates, you can spare yourself the frustration and troubles by avoiding it. But if you are familiar with the rebate process, and you follow the instructions, make copies of everything, and keep track of it all, then go ahead! It's FREE, although sales tax is not refunded. If you are looking for a bargain and not necessarily the latest and most shiny laptop out there, you may be interested in the 17% Go Back To School With Dell Coupon . This coupon expires on 8/28/08. Enter coupon code at checkout: CJ?BTS*DFS. This cannot be combined with any other coupons however! Only good for online orders, and subject to change. The Tigers have a new round of sales! We start at $50 with the Fujitsu 100GB 2.5" Mobile EIDE Hard Drive. That's 50 cents per gigabyte for those who don't want to do the math. No need to pull out the calculators! If you don't have a portable elephant, you need to feed your computer more memory! And $40 after a $10 mail-in rebate can get you the Crucial 2 gig DDR2 Memory. How about some Refurbished Laptops? They got those too! If you are a fan of refurbished laptops and have had good luck with them in the past, you are more likely to be interested in the following. First, at $460, and without rebates, you can get the refurbished Gateway MT6728. This notebook is powered by Pentium Dual Core 1.6GHz processor, has 2GB of DDR2 memory, a 160GB hard disk, a 15.4" WXGA display, wireless of course, Vista Home Premium, and things like that. If you like the above, but would rather have an AMD processor, you are in luck. $500 will get you the refurbished Gateway T-1628 which is powered by the AMD64 X2 Dual-Core 2.0GHz processor, has 3GB DDR2 memory, 250GB hard disk drive, a mobility-friendly 14.1" WXGA display, HDMI, wireless, webcam, and the loved/dreaded WinVista Home Premium. The Tigers are not done yet! If you don't want to take a risk with a refurbished model, they have plenty of new laptops on special! We start at $600 with the affordable Acer Aspire 5520-5156. This has the AMD64 X2 Dual-Core Mobile 1.8GHz processor set, 2GB of DDR2, 250GB of hard disk, a typical 15.4" WXGA display, wireless, webcam, and of course WinVista Home Premium. At $700, you can get the Gateway M-153S Laptop, which falls in the Intel camp with a Core2 Duo 2.0GHz processor, along with 2GB DDR2 memory, 160GB disk, 15.4" WXGA display, wireless, webcam, and Vista HP. If you do not hate rebates, we have a potential deal for you! 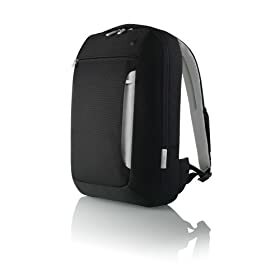 Amazon is offering the black/gray Belkin Slim BackPack for laptops for just $12.39 after a $20 mail-in rebate. According to the product description, this is good for laptops up to 15.4" and has durable polyester exterior and plush soft-touch lining for extra protection. It states that it comes with a lifetime warranty offered by Belkin. Please note that the rebate is listed for the backpack when sold and shipped by Amazon.com itself. We are not sure if it is also applicable when the backpack is sold and shipped by one of the many 3rd party sellers at Amazon. Please be sure to look into the rebate details which are available in the PDF file listed at Amazon. You must have an Apple MacBook, but don't want to spend four figures? Well, Apple has a solution for you! Apple certified Macbooks with free shipping. . Prices start at $900 and are offered through the Apple Store. The $900 model features a 2.1GHz Intel Core 2 Duo procesor, white body, a 13.3-inch glossy widescreen display, 1GB memory, 120GB hard disk, sadly DVD-ROM/CD-RW, and built-in iSight camera (webcam). It is a sad state of affairs that a $900 refurbished laptops doesn't have a DVD burner, but if you must have an Apple, you do what you have to do! But fear not, the $1000 comes with a SuperMulti drive, so you do get your dvd burner functionality. Needless to say we highlly recommend getting the dvd burner model, unless you have other alternatives available to you (external burners, other computers, etc). The $1000 refurbished model has a slightly faster processor as well, running at 2.2GHz instead. Office Depot (ODP) is having a number of good laptop special deals! We start at $400 after $155 in mail-in rebates, with the Compaq Presario C771us, which has an Intel Pentium dual core processor, 2gb of memory, 160gb hard disk, 15.4" widescreen display, dvd burner, wireless of course, and things like that. Not bad for $400, assuming of course you are the rebate type. If you are looking for a more mobile laptop, with a 14.1" widescreen display, you can get the HP dv2911us for $550 after $185 in mail-in savings. This has the Intel dual core T5500 processor, 3gb memory, 250gb hard disk, dvd burner with lightscribe, webcam, wireless and bluetooth, and things like that. Not bad for a packed 14.1" laptop. Again, do note that you need to do the rebates and follow through them! This is just the start, they also have Gateway, Acer, Toshiba and Sony Vaio. And you get to pay nothing until September 2009.